Every few months, with almost clockwork precision, a discussion pops up on the Expedition Portal forums pitting the virtues of the refrigerator against the time-tested ice chest. Which is better is not an easily answered question. As we tenuously approach a verdict, it is important that we understand everything we can about coolers and fridges. The modern cooler is produced in a multitude of variations using materials as basic as styrofoam to stainless steel and now rotary molded plastic. The latter is fast becoming the most popular format for a number of sound reasons. Rotary molding is a process by which plastic pellets are introduced into a mold and melted, then rotated at high speed to evenly distribute the molten material. 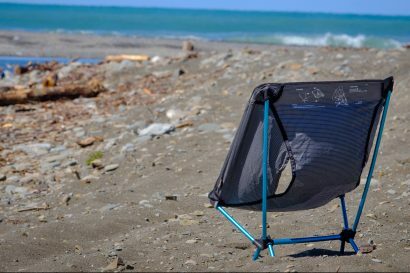 The result is a molded form with intricate shapes, consistent thickness, and enough durability and strength to be used for the construction of not just coolers, but protective cases and even white water kayaks. For this exercise, we won’t compare the $5 foam cooler to the $900 fridge for obvious reasons. 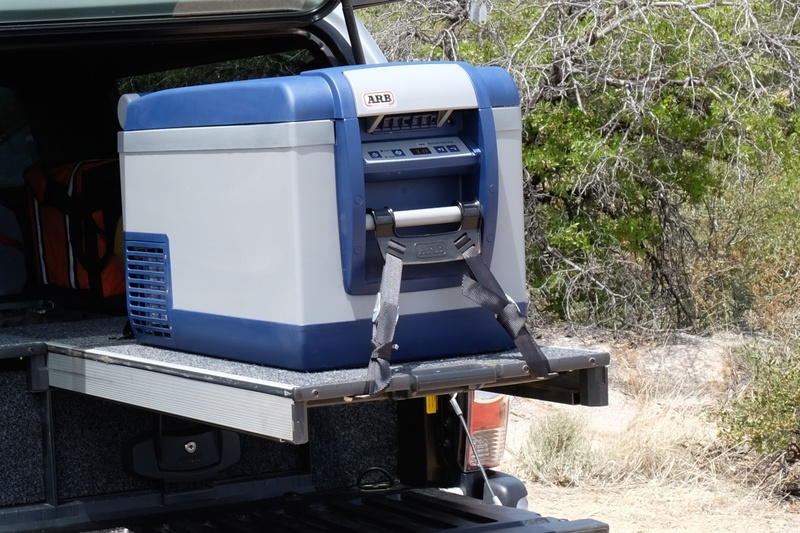 Rotary molded coolers make for a more attractive option for the demands of overland travel. Over the last few years, we’ve seen a growing list of manufacturers making rotary molded coolers. There are dozens of offerings from Yeti, Engel, Pelican, Esky, Grizzly, Canyon Coolers, Ice Hole, NRS, Black Rock, True Blue, Igloo and I’m sure I’ve missed a few. These coolers are largely the same in many aspects. They all feature rugged rotary molded bodies with matching rotary molded lids. The shapes may differ, the thickness of the walls may have some variability, and there will be different hinge and latch designs employed, but it is somewhat safe to say most rotary molded coolers have a host of similarities. This is not to say they perform equally, but there is a lot of consistency in the rotary molded cooler world. If you have shopped for a rotary molded cooler recently, you have most likely experience knee weakening sticker shock. Prices for rotary molded coolers can range anywhere from the mid $200 price point to an eye bulging $500 or more. It is hard to believe that such prices represent a budget option, but compared to the price of a refrigerator, they certainly are more attainable. Fridge prices seldom start below $750 and can easily break the $1,000 mark. Invest in a premium refrigerator and you’ll have to part with upwards of $2,000. Another benefit of the rotary molded cooler is the simplicity of use. Fill your cooler with snacks and suds, top with ice, and close the lid. It really doesn’t get much easier. That simplicity of design matched to the brawn of the rotary molded construction, makes these coolers virtually indestructible. Yeti has an entertaining video of a huge grizzly bear clawing at one of their coolers in a desperate and unsuccessful bid to access its contents. It’s nearly impossible to damage a rotary molded cooler, but there are some limitations to consider. It is an obvious caveat––coolers are nothing without ice. For most weekend getaways and even some protracted journeys, this isn’t a big setback as ice is easily found at most corner stores and gas stations. That is if you travel within North America and most developed countries. For the international traveler, finding ice on the edges of the Sahara or in remote corners of Baja might be a little tricky. On the upshot, these newer rotary molded coolers can often retain ice for up to a week if used properly, even in summer temperatures. All the same, a cooler without ice is just a fancy box. On more than one occasion, my five day trip has been paired to four days of ice. One of the less obvious drawbacks to a cooler is the weight of the cooler and ice. 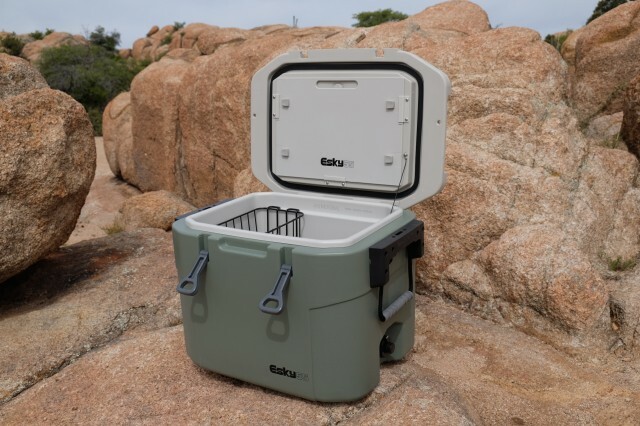 Ice is simply heavy, and a 50 quart rotary molded cooler can weigh up to 35 pounds on its own. Although a refrigerator is no lightweight option, most larger coolers will need anywhere from 15 to 20 pounds of ice to work properly. In all fairness, that’s still a couple pounds lighter than a refrigerator, but it’s still darn heavy for such a simple cooling solution. The last potential negative, and this is getting pretty nit-picky, is the size of the average cooler relative to the amount of contents it can store. Rotary molded coolers have a large exterior size due to the thick walls required to retain the ice. An average cooler is considerably larger than its refrigerated counterparts. Plus, all that ice factors into the storage volume of the cooler. A 50 quart refrigerator provides 50 actual quarts of storage. A cooler must forfeit some of that storage capacity for ice. If I had to interject my own personal opinion here, it would have to be with my biggest cooler pet peeve––swimming food. Having all of my food dunked in a slurry of ice and water is a hassle and requires everything to be wrapped in waterproof bags or containers. Memories of my feta cheese that escaped its Tupperware container come to mind. Stinky cheese water is not a good thing. 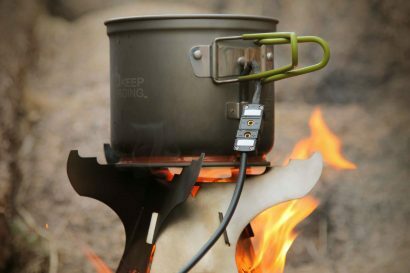 Portable 12-volt refrigerators are one of the best things to ever happen to overlanding. 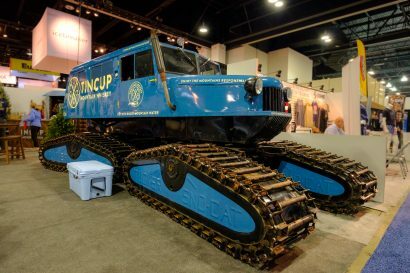 Because all four-wheeled rigs have an alternator and battery, harnessing that power to chill our eats and libations is pretty convenient. When discussing 12-volt refrigerators, it is important to cull out the cheaper electric coolers on the market. Those inexpensive devices can seldom cool their contents more than 20-30 degrees below ambient temperatures whereas a proper fridge/freezer can often cool up to 90 degrees below ambient temperature. To achieve the impressive performance provided by a modern 12-volt refrigerator, most units will employ highly advanced internal motors and compressors, not too unlike those used in your home fridge. They also use well constructed bodies with excellent insulating properties and in most cases, complex thermostatic regulators and electronics to maintain temperature and maximize energy efficiency. Many are designed to shut off if they sense they might be pulling too much juice from the host power source. 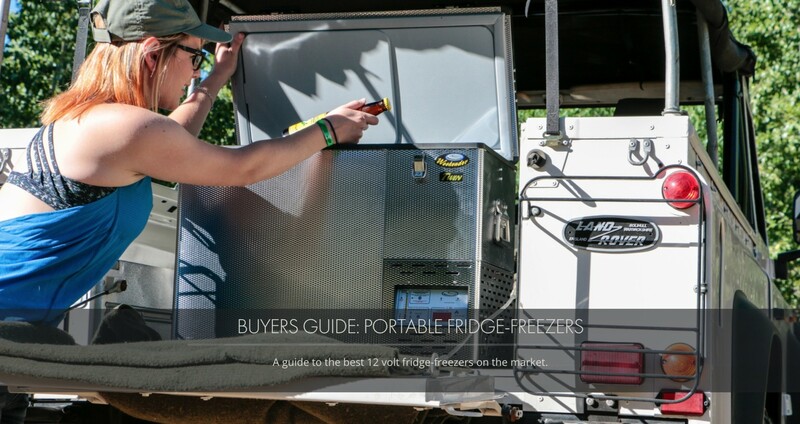 Because many popular 12-volt refrigerators were purpose-built for use in overland vehicles, they’re also relatively durable, but do require a touch more love and care than a cooler. The single biggest advantage a refrigerator has over a cooler is independence from ice. With a steady supply of power, a refrigerator can cool and even freeze indefinitely. For the extended journey deep into the backcountry, this is an unparalleled advantage. As one drives by day, the alternator supplies the power to cool the fridge. By night, the battery supplies ample power to keep things cold. At no point does a hunt for ice enter the scenario. Another advantage of the refrigerator is the ability to moderate precise temperatures. If you want your IPA chilled to an exact 42ºF, that is easily achieved. If you need to keep your Ben and Jerry’s frozen rock solid, that too is possible. This may sway your decision to go with the more expensive refrigerator. Because overland vehicles have limited cargo space, the smaller physical size of a fridge is always appreciated. Although the inner workings of a refrigerator do take up some space, those components are relatively small leaving maximum space for food and beverage storage. The walls of most refrigerators are usually quite thin, again giving the refrigerator a significantly smaller footprint. And again, to me the biggest plus is the lack of ice water and the threat of floating feta cheese. I can neatly load my refrigerator efficiently without calculating for ice, melted ice, and floating contents. One additional minor advantage I like about the refrigerator is the ability to load it days in advance of a given trip. This simplifies the “get ready” aspect of travel. A cooler has to be loaded with contents and ice at the very last minute to maximize the life of the ice. Without beating around the bush, refrigerators are very expensive. If there is a reason why those who want a refrigerator do not have one, it’s likely because the purchase price is prohibitive. Spending up to $1,500 to keep your juice boxes chilled is tough to justify for most, and understandably so. There is also no denying that a refrigerator brings with it a level of complexity that can’t be dismissed. A fridge is a machine with many parts, some of which are capable of failing, and they sometimes do. I had one refrigerator malfunction resulting in everything inside the fridge frozen hard as marble. There were no beers for me that night. Then there is the added complexity of providing power to the appliance. For those travelers who drive day in and day out, power is seldom an issue. For those prone to park for a few days, supplemental power supplies will need to be factored into the system. This could be achieved with more battery storage, generators, or solar solutions, all options adding even more cost and complexity to the bottom line. An average fridge paired to modest solar panels and backup or dual battery storage system can chew through $2,000 in short order. 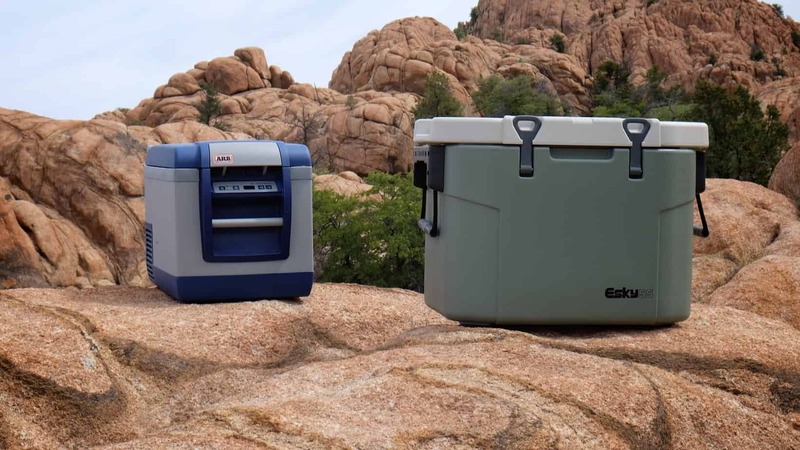 If the thought of spending $750 or more is too much to justify, and no one would blame you for that assessment, a cooler is the clear choice. Although a $300 cooler is still expensive, they genuinely do perform much better than their cheaper cousins. We’ll save that discussion for another day, but rotary molded coolers are worth the additional outlay of cash. If you have limited storage space, find yourself on multi-day or even multi-week travels, and have designs on international travels, you can’t beat a refrigerator for convenience. 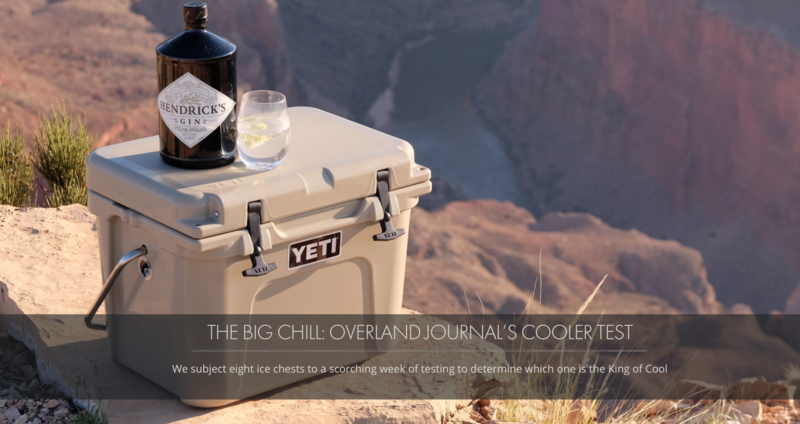 Having had this discussion with literally dozens of fellow overlanders, I have to concede that once you commit to using a refrigerator, the nuisance of ice will never have you going back to a cooler again. Not unless circumstance forces it. Which is best? It really depends on your intended usage. It also depends on the exact products being used. But comparing a high quality fridge to a high quality cooler, it is a tough decision to call. Like many people, I use both. I also have started to use soft coolers for short hops into the bush. It boils down to where you’re going, how long, and frankly, how much you want to spend on keeping your beer cold.